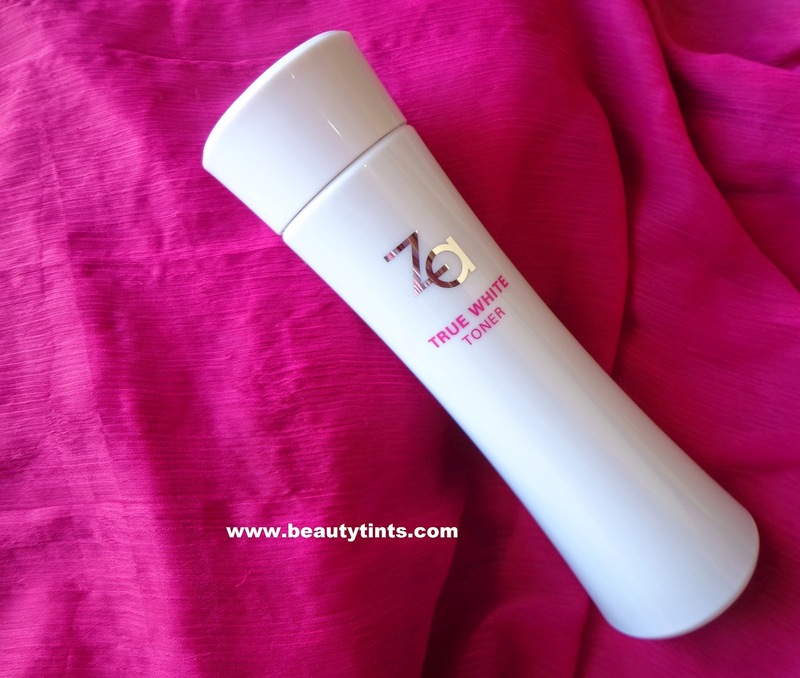 Today I am reviewing the Za True White Toner,which I am using from almost 2 months.Before,I have been using it in a different way and after attending Za Beauty School,I have learnt the proper way of using it and starting using in that way,which showed a great result.For those who missed the event,I will show how to use the toner in a right way in this post. 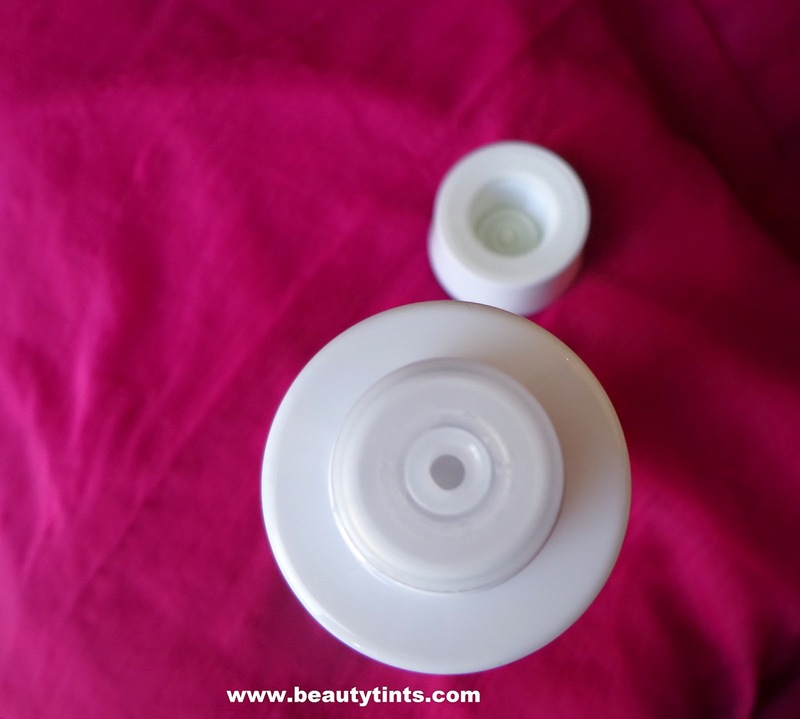 Packaging : It comes in a travel friendly classic tall slender opaque bottle with a small opening,which allows the required amount of toner,with out any wastage. Color and Texture : This is a colorless toner with a runny consistency. 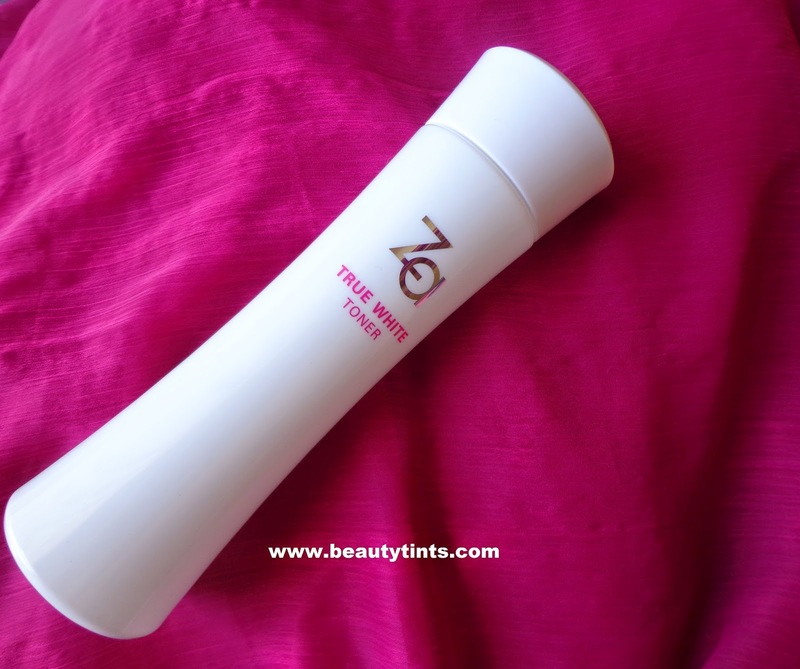 What the product Claims : This Whitening toner gives you high whitening and moisturizing effect. 1)Whitening Effect : Suppresses Melanization and diminishes dark spots,blemish marks and patchiness. 2)Moisturization Effect : Removes excess skin surface cells and deeply hydrates skin. Directions : Smooth an appropriate amount over face with hand or cotton pad after cleansing. 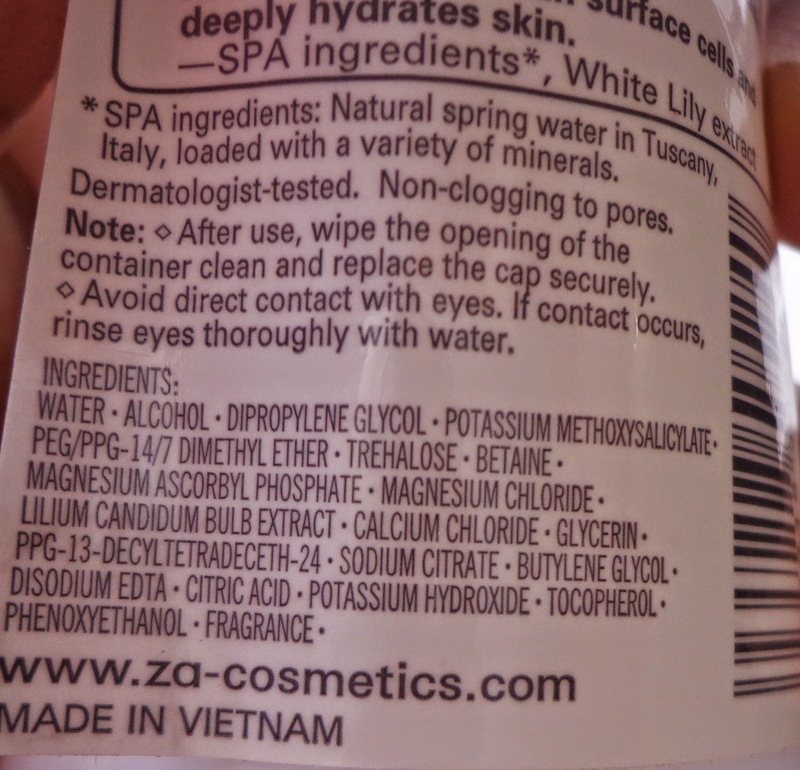 Ingredients :Water,Alcoho,Di Propylene Glycol,Potassium Methoxysalicylate,PEG/PPG-14/7 Dimethyl ether,Trehalose,Betaine,Magnesium Ascorbyl Phosphate,Magnesium Chloride,Lilium Candidam Bulb Extract,Calcium Chloride,Glycerin,PPG-13-Decyltetradeceth-24,Sodium Citrate,Butylene Glycol,Di Sodium EDTA,Citric acid,Potassium Hydroxide,Tocopherol,Phenoxy Ethanol,Fragrance. Proper Method Of Applying A Toner : Before knowing how the toner worked for me,Let me show you how to use the toner properly,which I learnt from Megumi Mitsui (Make up and Beauty Expert from the House of Shiseido) during my visit to the Za Beauty School. 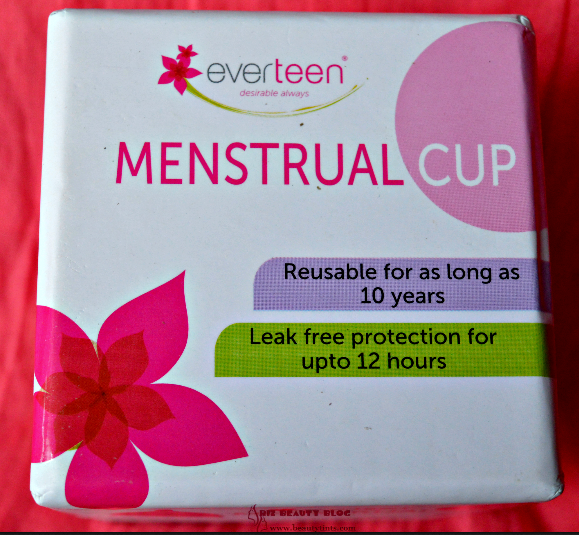 1) Take a cotton pad. Proper Method of Applying A Toner. 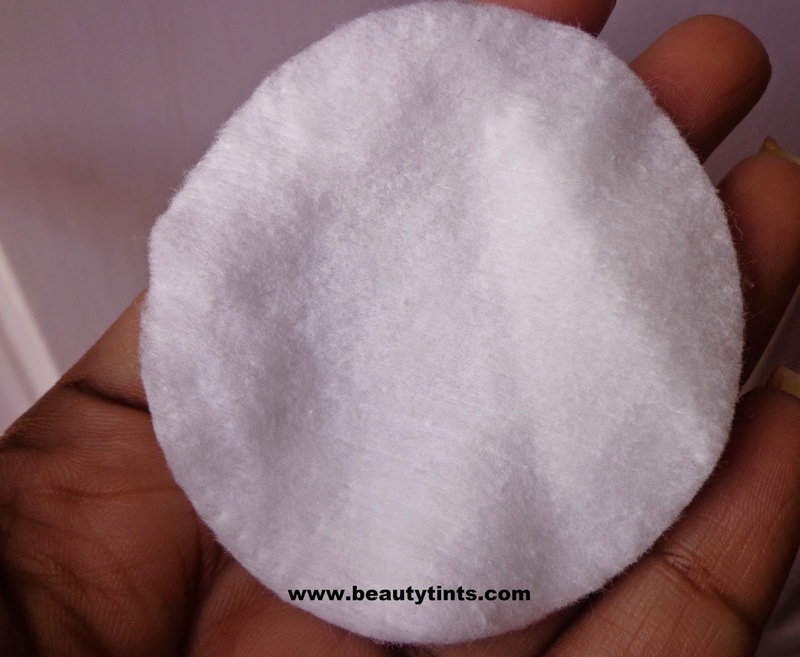 2) Using your forefinger,middle and ring finger,hold the cotton pad as shown below. 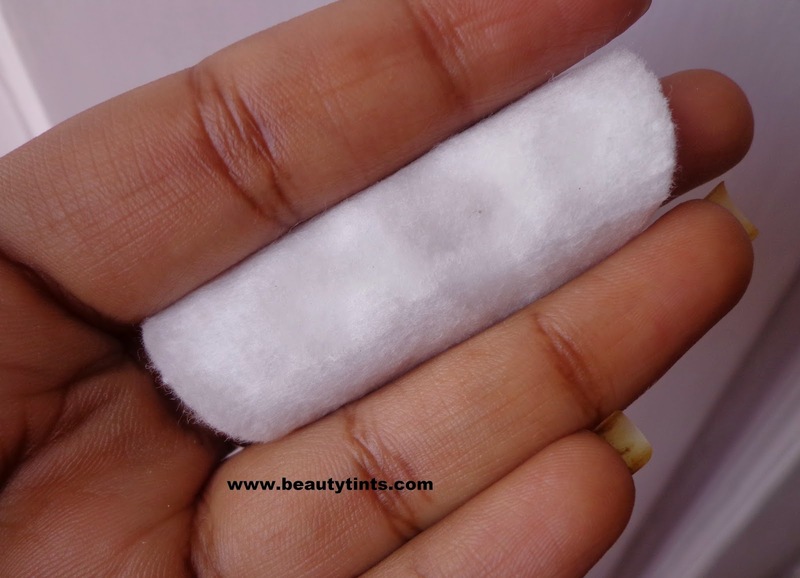 3) Saturate the part of cotton pad between your fore and ring finger with the toner. 4) Now gently wipe your face starting from forehead,cheeks,nose,chin and then neck.This method is for daily use. 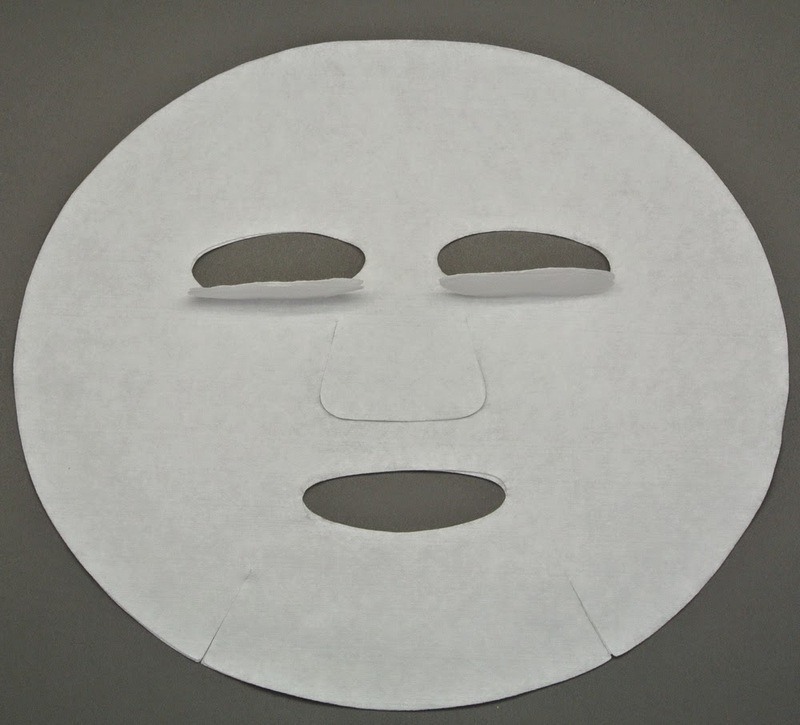 5)Once in a week or when required,in order to boost the moisture level of the skin,we can use it as a Toning mask, For this,take a dry or plain sheet mask,fold it many times to make as small as possible,now saturate the sheet mask completely with the toner.Now unfold it and apply this mask to the face and allow it to stay on the face for 10-15 mins.This method helps in giving instant boost of moisture to the face. I have been using this from almost 2 months for now and as Megumi suggested to use any product for more than 45 days to show the result as the epidermis takes 42 days to get reborn completely,so I waited for 2 months to know how exactly this toner is working for me.Now I am on my Second bottle and one bottle lasted for me for almost 35 days. I use it twice a day and once in a week I use it as a toning mask,as explained above.It has mild floral scent similar to other products from the True White Range.Toner is a must in my skin care routine as I have combination skin.A toner helps in maintaining the correct PH of the skin.It also helps in removing the dirt,oil and grime left by the cleansers.It helps in giving a healthy and radiant glow to the face.But we must select the toner carefully basing on the ingredients.It is always preferable to use Non-alcoholic toner as alcoholic toners strip off the essential moisture from the skin and cause irritation. 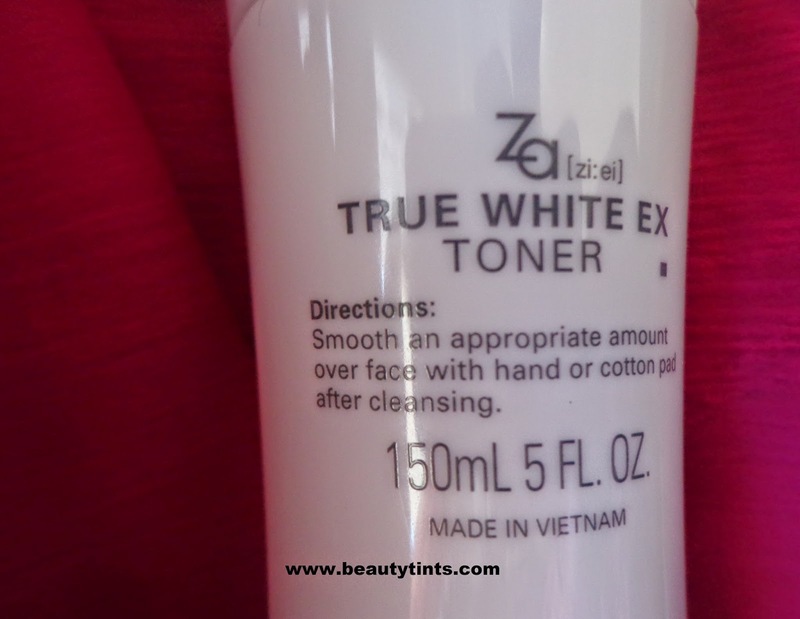 Though this Za True White toner contains alcohol,it neither cause irritation nor dry out the skin like other alcoholic toners.It removes the oil and dirt accumulated in the pores,left by the cleanser effectively.It makes the skin dewy and makes the skin clear than before.It moisturizes and hydrates the skin to a bit.It gives a mild cooling sensation to the face when applied.After using it for almost 2 months regularly,twice a day with out fail,my skin became visibly brighter and clear to a larger extent,though I did not observe much difference in the skin texture. 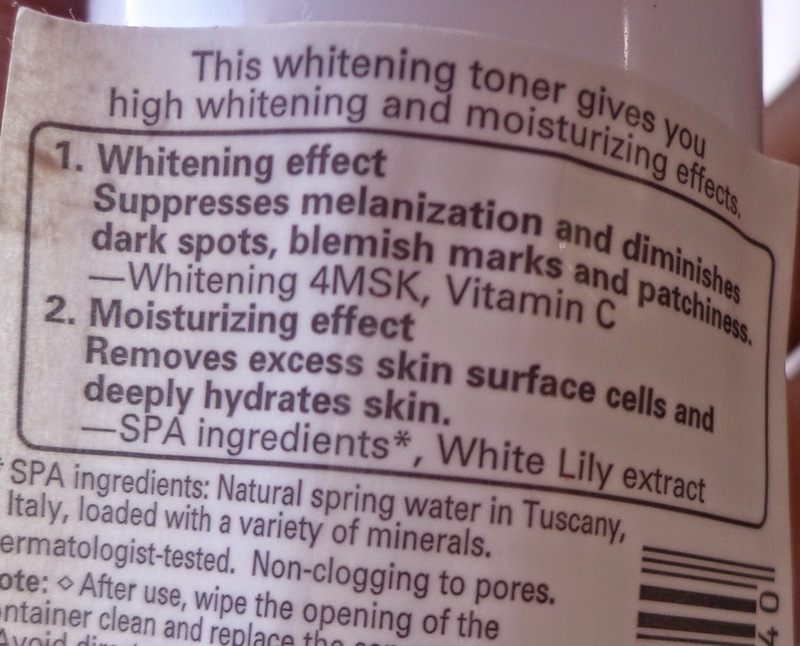 Final Conclusion about Za True White Toner : Those who want a bright and radiant skin with out any marks,should definitely try this.It does not irritate or dry out the skin.It contains the power melanin inhibitor 4 Msk along with other important ingredients like Vitamin C.It suits combination skin well.